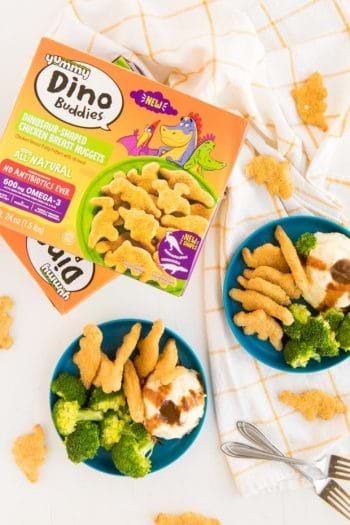 Check out why we love Yummy Dino Buddies chicken nuggets below and make sure to enter to WIN a $200 Jewel Osco Gift Certificate courtesy of Yummy Dino Buddies! CLICK HERE TO ENTER TO WIN and don’t forget to follow BCB on Facebook and Instagram for MORE! Motherhood is stressful enough, dinnertime doesn’t need to be too. Yet, we moms continue to complain about how hard mealtime can be. 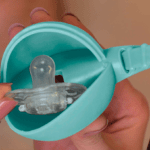 Friends: we know, the struggle is real but we recently were introduced to an awesome and easy option kids AND moms love. Yummy Dino Buddies are not only easy, but your kids also look forward to eating them. Made with boneless, skinless white chicken breast meat, they are packed with Omega-3 and protein. You can tell your kids this will make them big and strong and at the same time, you know that they now have the fuel they need for their next activity. Between their nutritional benefits, convenience and delicious taste, it’s no wonder Yummy Dino Buddies have become a mealtime staple in households across the country. 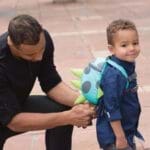 Yummy Dino Buddies come in five different child-approved shapes and sizes. These variations include traditional Dinosaur-Shaped Chicken Breast Nuggets, fun Alphabet-Shaped Chicken Breast Nuggets, Chicken Breast Mini Fries and more. For more on Yummy Dino Buddies, check out their Facebook and website. Don’t forget! We’re giving away a $200 Jewel Osco gift certificate courtesy of Yummy Dino Buddies! CLICK HERE for your chance to win! 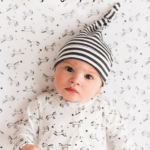 Bump Club and Beyond shares our favorite parenting products, brands or services every Friday. Check out more BCB Friday Favorites here and tune in for a new Friday Favorite soon!